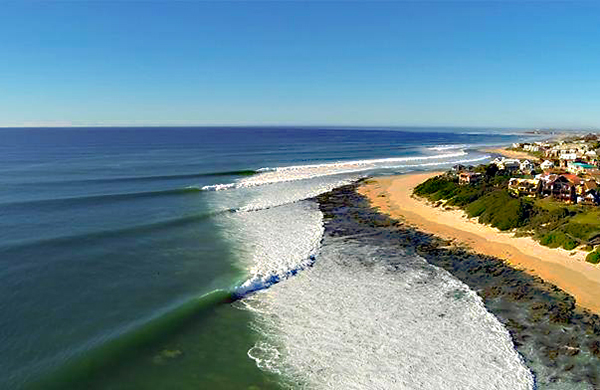 Stebel Rocks Surf Camp - Umzumbe, Kwazulu-Natal Guests overall rating: ★★★★★ 5 based on 7 reviews. Located in a small South African beach town called Umzumbe, the accomodation for our guests is at front lodge on Umzumbe Beach. We are situated on the North East Coast of South Africa, 1 hours drive south from Durban International Airport. We run surf lessons and surf camps out of Durban Beachfront, as well as Umzumbe Beach. Our surf trips begin from Durban all the way to Mozambique, Durban to Jeffrey’s Bay and around the South Coast of KwaZulu-Natal. Our quest is to provide a truly authentic, South African surf experience to whom ever has the desire to indulge in its beauty, uncover its mysteries and take advantage of all there is to offer. 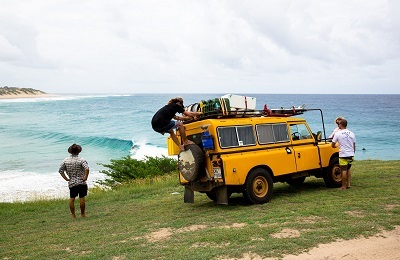 In order to offer you a guarenteed adventure of a life time, we research and perfect our surf safari tours by researching and traveling to each and every destination, from the popular hot spots to the unexplored. South Africa is so diverse and so magnificant that with every foot traveled and every corner turned, you will find another wonder that will captivate your mind and send time to the wind. Whether your ideal vacation is a morning surf, an afternoon hike or a sunset safari. We offer adventure packages that best suit your desires, provide exciting experiences, safe traveling and unforgettable memories. We do what we love and share with you what we do best. Only 1 hour South of Durban Airport, Stebel Surf Camp is located on the South Coast of South Africa in a small beach town called, Umzumbe. The private beach front property is the ideal desination for surfers and beach lovers who are looking for a laid-back environment, that is casual and relaxed. 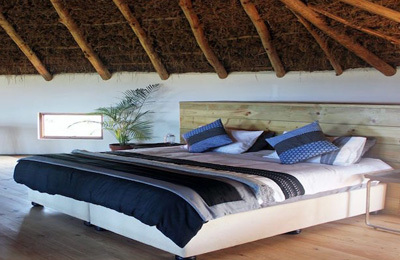 The accommodation have been carefully decked out with a beachy surf style, always clean and comfortable. exclusively located in a tropical bush setting with private access to Umzumbe’s stunning blue flagged beach and famous right hand point break, the Surf Camp is a well kept secret paradise. Surf lessons, board rentals and local guided surf trips are available daily. The staff and owners are a breath of fresh air providing the most friendly hospitality to all guests. The house has 5 bedrooms, an open plan common area with lounge, dining area and kitchen, all with a sea view. There are 2 toilets and 2 baths inside the house that are shared among all. There are two airy outdoor showers to rinse off in, with hot water taps and a cool sea breeze. The outdoor lounge is very welcoming, hugged with couches and pillows for leisurely reading or afternoon siestas. The outside deck and patio was designed for nothing but chilling in the sunbathing lounge chairs, picnic tables, hammocks or swings under the fig tree. The large beachfront property is surrounded by natural coastal forest humming with life and grants you direct access to Umzumbe’s pristine blue flag beach. Waking-up early has never been easier with the sound of crashing waves on your doorstep. If the surf is mellow, there are plenty of quiet, shady hammocks scattered around the yard, for you to kick up your feet and relax. We share the property with many friendly animals; including the elusive small blue duiker, flamboyant purple lourie and plenty mischievous vervet monkeys. The large property lends itself perfectly to countless activities. Round up a group for volley ball or find your zen doing yoga in the garden. A comfortable and natural beach setting perfectly suited for the solo surfer, group of friends, romantic couple or adventurous family. With an incredible view of the Indian Ocean and sea breeze infront of your bed, this bedroom is the ocean lovers room, most secluded from house with the best view. Suitable for adults or couples, sleeps singles or couples comfortably in a Queen size bed. You will never want to leave this stylish slice of beach house paradise. The Bamboo Surf room is also private, tucked away in the corner of the house away from any other rooms, suitable for adults, couples or singles looking for privacy. Sleeps one or two in a Double size bed with a large breezy window and ceiling fan. Clean, stylish and cozy, when not on the beach, you’ll want to be in your bamboo room. Designed for a few singles or a group of 3 on a budget, this room is clean and comfortable, equipped with 1 single bed and 2 bunk beds. Our bunk room is equipped with 2 bunk beds that sleeps 4 singles. Basic for the travelers on a budget but, clean and cozy. With 650 square meters of private beach front property, palm trees, historic milkwood trees, and many species of bird life; there is ample space to pitch up, camp out and chill out. There are two shared toilets, two indoor showers, two outdoor showers and an outdoor toilet. Sleeps 5 (3 upstairs in king or 2 singles + 1 day bed, large sleeper couch downstairs which sleeps 2). Rustic private outside shower with hot water. In door toilet with sink. Fully equipped kitchen with fridge, oven, microwave, etc. Private deck with breakfast table and chairs overlooking the garden. Private hammock. There is a Bistro and Pub just few steps away, offering a stunning menu of fried seafood, wraps, salads, burgers and alchoholic beverages. 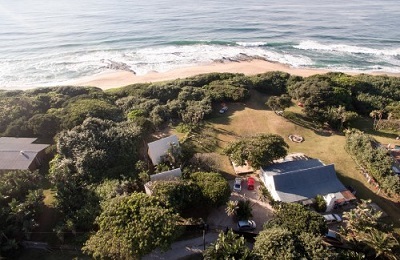 The Surf camp is situated about 90 km south of Durban accessable from a freeway. In Town there is a very basic general store, A Live Music Venue and Restaurant. At the nearby town Hibberdene there are: doctors, chemist, supermarkets, cafés, KFC & other fast-food places, fish and fishing tackle shop, banks, garage and DVD shop. Stebel Rocks, is a right hand point break rideable to surfers of all experience levels. Is known for its beautiful sub-tropical beach and excellent point break. Guests can stay at the Surf House and surf the point right out front or Richards secret left. Our Guides will also take you to other local surf spots around the area but we never crowd local spots, so seats are limited. We have a selection of rental boards for every level of surfer. Many of our customers want to travel to South Africa with ease of mind, with out the hassle of booking their own lodging, rental car, finding directions, knowing which places to stay, if they’re clean, comfortable, safe, etc. Trip begins in the city of Durban, quickly touring South Africa’s very own super star, Jordy Smiths favorite hometown beach. Our beach-front surf camp is the perfect place to acclimatize from your flight and ease into SA Surfaris way of life. After a few days of surf, we move North to surf warm water in tropical, uncrowded, hard to find areas. We get up close and personal with South Africas largest wild animals. And we cross the border to surf the pristine beaches of Mozambique. This is by far our favorite trip and our #1 most popular booked trip. The Wild Coast adventure begins in Durban, with a few night stay at a beach front surf camp on the South Coast. The natural, beach front lodge is the perfect spot to acclimatize, relax and surf. From there you head deep into the Wild Coast and get lost in the beauty of an area called the ‘Transkie’. After getting face to face with South Africas ‘big and hairys’, we spend the night sleeping in our very own Traditional African Rondavels. We boogie down the coast where your surf guide will bring you to various breaks, ending your tour surfing the famous Jeffreys Bay surf spots. This tour is straight out of the famous surf film, Endless Summer. Beginning in the city of Cape Town, you experience city life and city surf. Heading North along the Garden Route, you’ll surf along the coast ending at the “famous” right hand point break of all time, Jeffreys Bay. Your experienced local surf guide will take you from Cape Town, through breath taking landscapes, to the African Bush and to mind blowing Jeffreys Bay waves! Our Surf Trips and Travel Packages are based around the idea of a Surf-Safari. Traveling around South Africa, exploring the land, surfing the Indian Ocean and seeing Africa’s wild animals. But we also offer a wide array of other adventure activities that can be added onto any one of our surf trips. Custom TripsTraveling with a family, alone or with a group and looking for a well balanced trip to full fill every ones needs? Or maybe you’re looking to ditch the itinerary and chase the biggest swell? We can fully customize any surf trip to your liking for any type of surfer or non-surfer including solo travelers, youth groups, families and couples. *Most surfing equipment is readily available through out SA and in some cases, cheaper then other countries. If you want to save yourself from packing a ton, leave your 10 sticks of wax at home. A private lesson is the fastest and easiest way to learn to surf. The surf lesson will be designed to fit your specific surfing needs and the one-on-one attention will ensure your reach or exceed your goals. We offer private lessons and surf camps for ALL AGES! Students taking private lessons are fitted with a wetsuit (if necessary) and board and given one-on-one instruction from one of our professional coaches. Just bring a swimsuit and a desire to learn to surf and we’ll take care of the rest! Your coach will work with you to help you get accustomed to the mechanics and timing of the waves as well as teach you the skills to enjoy riding them. If you have surfed a few times before, this class will help refine your techniques and develop a foundation for more advanced maneuvers. If you’ve never surfed before, this is your opportunity to experience the rush! Our coaches and staff have years of surfing and teaching experience. Catering to our guests happiness is our #1 priority, along with saftey and comfort. Our staff are local and international making an interesting and fun atmosphere. All Lessons include 1 hour instruction and equipment. Paddling, standing up, turning, and riding down the line. Group surf lessons are an affordable and fun way to learn to surf. You and your crew can schedule a lesson with our experienced surf coaches. The group lessons are run exactly the same as private one-on-one lessons, except you are in the water with the instructor and your friends or family. Everyone will be in the water at the same time, everyone will have a board and everyone will be having fun! You will be given group instruction as well as one-on-one attention from a team of instructors. We can accommodate any size group. Please call in advance to ensure we have availability. We are situated on the North East Coast of South Africa, 1 hour drive south from Durban International Airport. Upon arrival to South Africa, if requested to us your guide will greet you outside the baggage claim doors in the designated airport and take you on a scenic route to your accommodation. A brief overview of the itinerary will be discussed and each guest will receive a paper itinerary with information on each stay and activity with opportunity to ask as many questions as you like. If by car, you can get to Umzumbe by taking the N2 South to Exit 72. If by transfer, you can take a shuttle bus or taxi from Durban. The BazBus backpackers shuttle bus offers hop-on-hop-off stops along the coast. Drops off at Mantis & Moon in Umzumbe, We pick you up from there! Drops off at Corner of R102 and Umzumbe Turn Off, We pick you up from there! Do you need a holiday spent Surfing, Eating Healthy and doing Yoga? Yes! This package is designed for the person who is ready to tap into a healthy lifestyle. Our Daily Yoga classes are focused on surf related stretching and loosening up your limbs. Whether you are are a complete beginner or looking to advance to the next level, a weekend or 5 day course of Surfing with room and yoga is the perfect way to spend time on the beach and work toward your healthy lifestyle goals. For the hungry and dedicated! This package is designed for the person hungry for surf and a delicious breakfast spread. Whether you are are a complete beginner or looking to advance to the next level, this 5 day course of Surfing with room and breakfast is the perfect way to spend time on the beach and work toward your goals in the water. Prices an availability on request. Do not hesitate to ask us! "A small place in a beautiful surroundings and just at the beach. The owner is helpful and everybody is really friendly. There is not much to do in the surroundings so make sure you have a car if you plan to go somewhere in evenings. For surfing itself, lots of rocks around so maybe not the best place for beginners but waves are good. During the day there are maybe 3 5 more people catching waves, so its a good spot to avoid the crowds." Hey Ivan! Thanks so much for your review, we\'re stoked that you had a good time! We hope to see you again soon bru. "We stayed for 3 days at Stebel Rocks Surfcamp and were adopted straight away by the owners, dogs and other guests. The surf spot is 5 min walking distance and suited for beginners and experienced surfers alike. I would love to come again!!" "My husband and I had a wonderful 3 night stay, unwinding and relaxing in the double bedded room. This amazing communal surf house is located right on the beach and is nicely decorated. With clean shared bathrooms and a well equipped kitchen. Great place to make friends! Thank you Shani for your professional attentiveness and for always making us feel at home. Thanks also to Eunice for always having everything clean and in its place. P.S. Please give Hansa and Savanah a scratch for us We will definitely be back....."
"The energy of the ocean front property is very inviting. The rooms have great lighting, plenty of space, and comfortable beds. The bathrooms are very nice along with the showers, both indoor and outdoor. Staff is awesome and can help with booking activities/tours around the area. Kitchen is very clean and has ample space for cooking and storage. Epic deck for reading and yoga sessions. Lots of rental boards if you want to get out there and shred or take a surf lesson. Free wifi. 2 friendly dogs." "Super lieu, maison familiale rénovée très bien décorée et super accueillante. La terrasse est top pour apprécier les levers de soleil et la plage au fond du jardin c'est vraiment super, des vagues juste en face, le pointbreak d'umzumbe à 5 min au sud. Un super spot pour surfer, voyager et vivre..."
"Richard and Ali are such awesome hosts.. They make you feel apart of the family and it's like a little surfing retreat. Waves are great just 5mins walk from the house with many other options nearby. Ali cooks up a storm with her culinary skills and Rich makes sure you are very comfortable. I strongly recommend this place if you looking for some R&R and some good waves away from the crowds. I will def be back soon." "Si vous recherchez un endroit où vous sentir simplement chez vous en moins de 5mn, alors vous avez trouvé la perle rare! La maison est très joliment décorée et très bien entretenue. L'accès direct à la plage est un véritable plus. Sans oublier Ali et Rich qui sont des hôtes très accueillants, et font tout leur possible pour rendre votre séjour merveilleux! Bref vous pouvez y aller les yeux fermés, cet endroit est fabuleux! :)"